Nepean Hospital’s massive upgrade continues with the first concrete slab poured for the new multi-storey car park. 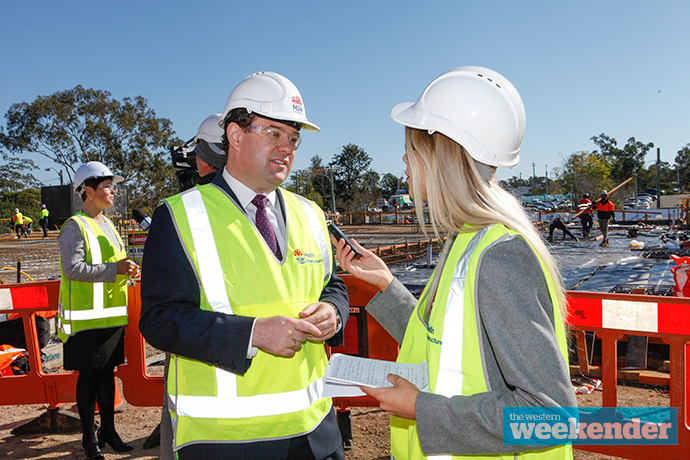 Penrith MP Stuart Ayres and Mulgoa MP Tanya Davies were on hand for the occasion and announced the launch of a new education program, which will see five Aboriginal Year 10 students assist in the construction of the site. The 600-space car park, on the corner of Parker Street and Barber Avenue, is part of the State Government’s $1 billion commitment to redevelop Nepean Hospital, one of the most under-pressure hospitals in New South Wales. “This will completely change the way people engage and interact with the hospital, the big challenge is Nepean Hospital has just run out of space and for so many years it was just band-aid solutions,” Mr Ayres said. The new car park is set to free up space to construct a word-class hospital tower that will expand the emergency department, delivering 200 overnight beds, 18 birthing suites and a new neonatal intensive care unit. Mrs Davies said the education program will provide mentorship and career pathways for Aboriginal Year 10 students wanting to learn a construction trade. 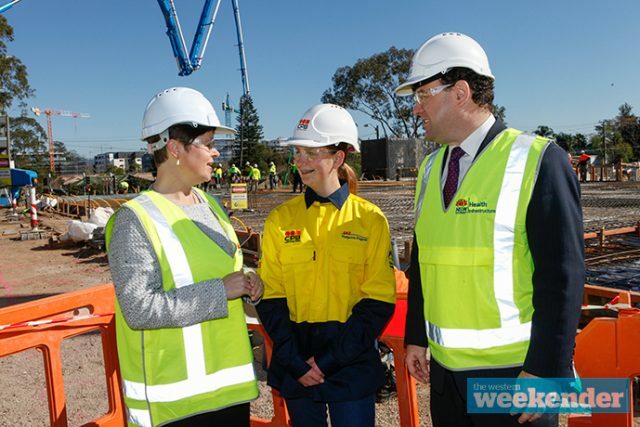 “The Diz Footprints program provides a unique opportunity for students to continue their high school education while gaining hands-on construction experience at one of the biggest infrastructure projects in western Sydney,” she said. Kingswood High School student, Ava-Grace Monck, is one of five students who will complete the program by working at the hospital site. 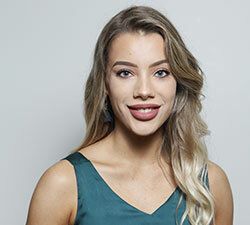 “I’ve always wanted to do something with construction and building, basically anything to do with our community, this opportunity popped up and I’m very excited to have been selected,” she said. The students will pilot the program at the start of Term 4 this year, with plans to extend the opportunity to more teens in the future. The new car park is expected to be operational by mid-2019.